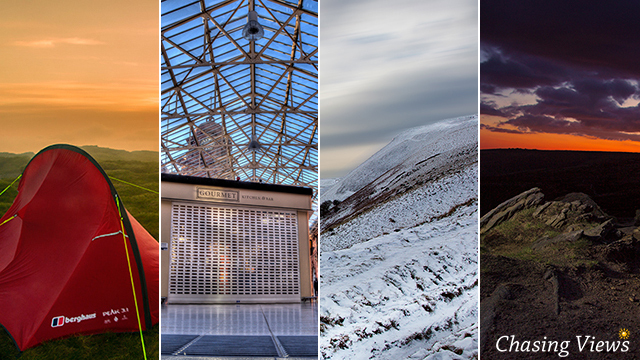 Chasing Views was created by myself, Ash Wroughton, an award winning photographer from Nottingham. Although my photography award was for Urban Landscapes, I also have a passion for landscape photography & the great outdoors. Which Camera Did I choose? After much research I decided to go for the Sony A20, an entry level Camera which seemed suitable for a beginner (now discontinued). This was a good starting point for me, it was the first step towards trying to achieve my goal of producing photographs that people wanted to look at. Over time I became familiar with the functions of my new camera, but it soon became apparent that I had “outgrown” it. I now needed a Camera that offered me more functionality and the option to become more creative. I then decided to change brands, admittedly, it did take me a while to choose my next DSLR. This time I went for a Canon EOS 500d. Again, I soon realised that this didn’t offer what I needed to produce better results. I wanted to open my own photography studio in Nottingham, so I had to produce good results. My next camera was a Canon EOS 7d. It didn’t take long to notice that this was far more superior to my previous cameras. This allowed my photography to excel in terms of quality and creativity. After shooting happily with my Canon EOS 7d for over 12 months, I eventually opened my own photography studio in Nottingham City Centre. Just what the doctor ordered…… or was it? Although I was working with some fantastic models and producing some fantastic results in my studio, I started to take an interest in shooting outdoors. The more I ventured out, the more I enjoyed it. As time went on I found that I was enjoying landscape photography far more than being in my studio. Landscape photography is a far bigger challenge than working in a studio, but you get the enjoyment of Chasing Views and visiting great places. At this point I decided to close my studio, tough decision, but the right one! I then decided that I needed a DSLR with a full frame sensor. Having already done lots of research whilst deciding on my last purchase, I already knew which camera model I wanted. The Canon EOS 5d Mark 111. what a great piece of kit! Although I do still use my Canon 7d, I cannot fault the Canon 5d Mark 111. I wish I had jumped in at the deep end and purchased it right from the start, as it would have saved me nearly £3000. Since closing my studio I have visited some fantastic places, and since we now live in a generation of “liking & sharing” I decided to create Chasing Views to document my wild camping trips and share some of the fabulous captures from my travels. It is a project that will grow over time and I will share as much detail as I can about each random adventure. I love photography and the great outdoors so I combine the two to create one great pleasure. Documenting my travels is a new venture for me, but I’m sure it’s going to be a very enjoyable experience. 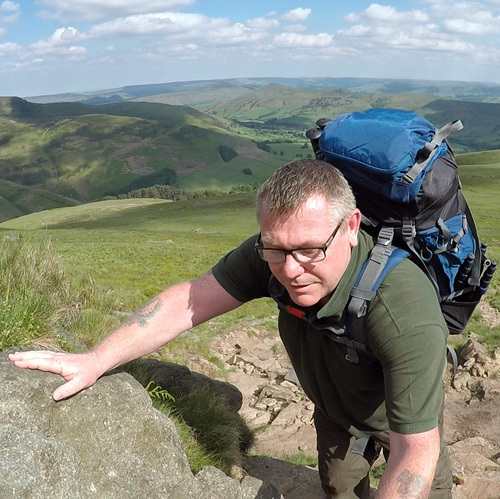 I love The Peak District and The Lake District, so when time allows I will be heading off to pitch my tent in some fantastic areas of Nottinghamshire, Derbyshire, Cumbria or wherever tickles my fancy. Watch this space!